Compete in a fast-paced, full-body virtual sport, built for PlayStation VR. Immerse yourself in a fast-paced and physical futuristic sport, facing off against opponents in a virtual reality arena, using a mixture of dodges, blocks, throws and deflections to outwit the other and claim victory. 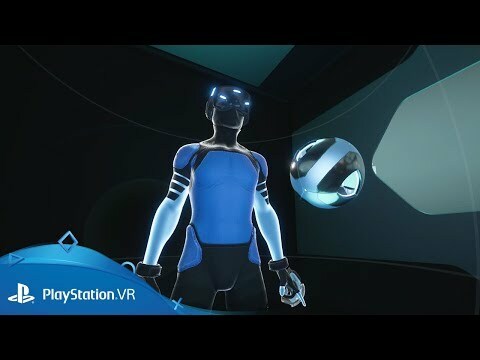 Made possible by PlayStation VR and PlayStation Move, Sparc translates the kinetic, full-body challenge of real world sports into a stylised digital space. Here, you'll assume the role of a customised avatar and compete against a community of other online players. Refine your skills in single player trials and practice modes before entering 'Courtside' - a freeform online social space where you can spectate ongoing matches or queue for your next turn.